One of the most feature robust tablets on the market launches worldwide in April for $199. At $199 SRP the Tablet PC is considered one of the most robust and full featured tablets on the market and is expected to ship in April. IN Media Corp. (IMDC.PK) today announced the launch of its new Tablet PC 7, that allows integration of all applications and content in simple touch screen format running the latest Google's Android 2.2 OS. The Tablet PC 7 is equipped with all the features needed to drive content from entertainment and gaming applications to fully featured business applications. Along with camera, Wi-Fi and SD card removable storage it is also equipped with Bluetooth allowing users to wirelessly connect devices like speakers, earphones, keyboards etc. “We are allowing users to migrate from Laptops and Netbook PCs to the more robust applications supported on the Tablet running Android 2. 2," said IN Media's CEO Dr. Nick Karnik. “The Bluetooth keyboard capability provides a smooth transition,” added Karnik. At $199 SRP the Tablet PC is considered one of the most robust and full featured tablets on the market and is expected to ship in April. The product will be bundled in vertical applications such as learning and medical as well as rolled out to the general consumers. General distribution of Tablet PC will begin in April. IN Media also launched its 10 inch Tablet PC using Windows 7 and Android 2.2 OS a few months ago for the Asia market. The 10 inch LCD displays is equipped with both a forward facing camera and HDMI interface, allowing users to video conference and broadcast on large screen HD televisions. 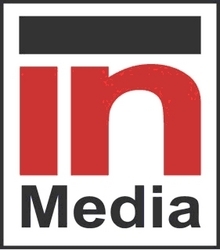 IN Media Corp. is an integrator of Internet Protocol Television (IPTV) services, products and content for major platform and service providers (e.g. cable, satellite, and Internet providers). IN Media provides a combination of products and services: set-top box hardware and software services, manufacturing of the set-top boxes, library of content and content aggregation for platform providers to implement an all-in-one solution for IPTV services. More information can be found at: http://www.inmediacorp.com.